Julio Brea Guzmán, partner at Guzmán Ariza Law Firm, attended the conference Mergers and Acquisitions in Latin America presented by the International Bar Association (IBA) Corporate and Mergers and Acquisitions (M&A) Law Committee and the IBA Latin American Regional Forum. The conference, held in Buenos Aires, Argentina, on March 15,16 and 17, identified trends and opportunities in the Latin American M&A market and commented on the continued and increased growthe of multilatin companies. 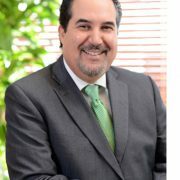 Julio Brea Guzmán is a member of the IBA Corporate and M&A Law Committee, as well as the Litigation and Real Estate Committee.